Canine Mind and Body Balance – Integrative canine therapy centre. Combining the best complementary therapies to support your dog emotionally and physically. Looking for Best Behaviour Animal Therapy? You are at the right place. We are now part of the Canine Mind and Body Balance Centre website as that is where many of the services are offered.Canine Mind and Body Balance offers a truly wholistic approach to canine health and happiness. 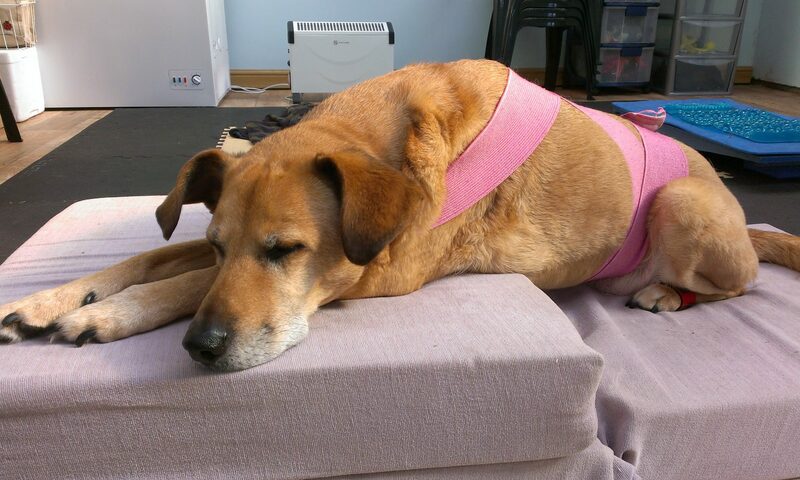 We offer integrated therapy to support all of your dog’s needs, both physical and behavioural. This is a series of hour long talks explaining some of the most common canine behaviours. Each talk costs £7 per person from 11am-12pm. Please fill in the contact form when making your payment to indicate which talks you are booking a place on. Places are strictly limited. For more information and to book a place see below. Many owners are baffled and/or alarmed by things their dogs do. These unwanted behaviours can become a problem that can get in the way of enjoying time with your dog. Julie Moss is a qualified Canine Behaviourist and has been helping pet owners with their dog’s behaviour problems for over 15 years. She has found that these pet owners are often unaware of the reasons for the behaviour and often confused by the conflicting advice available. Once an owner understands the motivation behind the behaviour it is always much easier to address. Dogs don’t do things to annoy us or to try to ‘dominate’ us, as you may have been told. Generally they are just being dogs and have their own reasons for doing what they do, purely because it is the ‘dog’ thing to do and because we really haven’t taken time to show them the other less obvious options that we would like them to do instead. Owners often also completely misinterpret their dog’s behaviour and therefore handle it incorrectly, which causes things to worsen. Understanding ‘Why Your Dog…’ does the things it does, allows you to handle it appropriately. If you want to know the many real and varied reasons why dogs do what they do then this is the talk for you. Please note that Julie cannot give specific advice on how to handle a problem with your dog as each owner and dog is an individual and without meeting you all and taking a detailed history it would be wrong to guess what you all, as individuals, need in order to improve the situation. This is why internet advice often fails as it is generic advice and cannot be considerate of your unique situation with your dog and therefore your unique needs. If you feel this is what you need then consider a Canine Behaviour Consultation to give you a plan of action tailored to your needs. Booking for Why Does My Dog? Choose which Talks you are paying for(required) 23rd Feb Why Does My Dog Misbehave on Walks? 16th March Why Does My Dog Chew and Steal Things? 27th April Why Does My Dog Not Like Other Dogs? 18th May Why Is My Dog Scared? 8th June Why Is My Dog Always Hyperactive? 29th June Why Does My Dog Growl? What would you like to learn from the talk? For bookings of a place on one or more talks. Please complete the booking form to indicate which talks you wish to attend. with Julie Moss BSc.Hons., AdvCertVPhys., Dip.APhys. A one day workshop suitable for anyone wanting to learn more about the finer points of canine body language in dog-human interactions. I spend a lot of time looking at dog-human interactions in my work. There are many, many tiny signals that the dogs give out that people don’t notice and that can massively affect how the interaction progresses and whether it will be successful or not. Canine body language can be very complex and difficult to learn. Its really a skill you gain by seeing and learning as it happens, but if you don’t know what you are missing then there is a huge wealth of information going unnoticed every time you look. During this workshop I will be giving a running commentary as dogs come and go and interact with myself or others in the room (if appropriate). I have found this to be a really helpful way of learning how to spot the little signals and it will change the way you interact with dogs. You will learn how to alter your approach in response to the dog and see how it enables them to feel more comfortable around you. To pay by cheque please email to request a printable booking form to send with the cheque. Please complete the following booking form with your payment. A one day workshop on 21st September 2019. The Canine nervous System and its Role in Rehabilitation – FULL! Understanding the canine nervous system is essential to getting the best results with both behavioural and physical therapy. In fact both of those therapies go hand in hand, so whenever we are addressing the behaviour of a dog, we should not be ignoring the physical side of that individual, and vice versa. Knowing how the two merge via the nervous system opens up a whole new way of thinking in the world of rehabilitation and its how we at Canine Mind and Body Balance work with all our clients, whether they be here for behavioural or physical therapy. You cannot satisfactorily address one aspect without acknowledging both, as the way a dog moves dictates how it feels and the way it feels can change how it acts and therefore moves. We will be looking at the nervous system itself and how it governs everything a dog thinks or does. We will also be looking at how you can influence the system to encourage a dog to become ‘unstuck’ and change to a better way of being.